This concludes Season 9 of Never Not Funny. Don’t forget to sign up for Season 10 at pardcast.com! Look for a special Season 10 welcome message once you sign up, then get ready for the season premiere on December 12th. A cup of coffee with Ty Burrell. This episode is brought to you by Squarespace, the fast and easy way to publish a high-quality website or blog. For a free trial, go to Squarespace.com/never. Don't forget to tune in to our free, 12-hour livestream charity event PARDCAST-A-THON 2010 on November 26th, 6pm PST -- go to pardcast.com to watch, and click the button to donate to Smile Train. 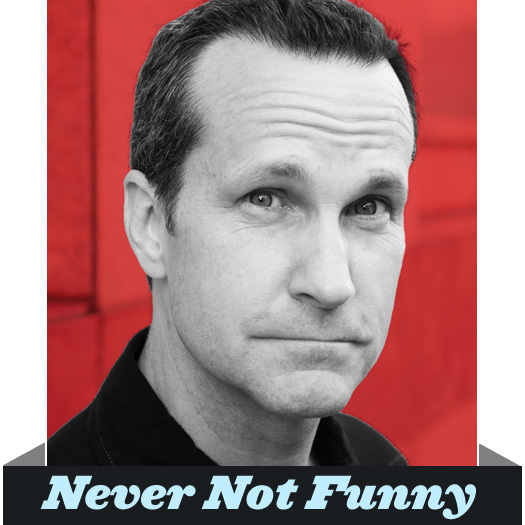 This concludes Season 7 of Never Not Funny. For full, 90+ minute episodes every week, don't forget to sign up for the Primo Pardcast at pardcast.com. Season 8 begins on November 24th! For more on Andrew, please visit pardcast.com.